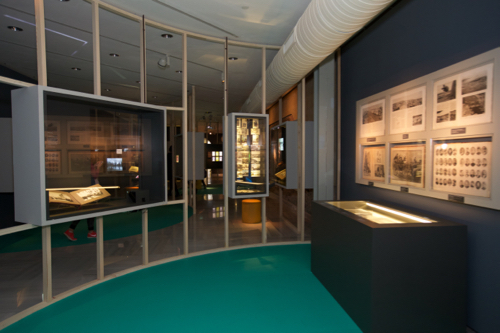 Beautifully arranged across the foyer and main gallery of the Research Centre for Anatolian Civilisations (RCAC) is the exhibition Camera Ottomana, tracing photography and modernity in the Ottoman Empire from 1840 to 1914. The RCAC excels at these historical photography exhibitions. They are compact but informative, well arranged and lit, and never overwhelming. 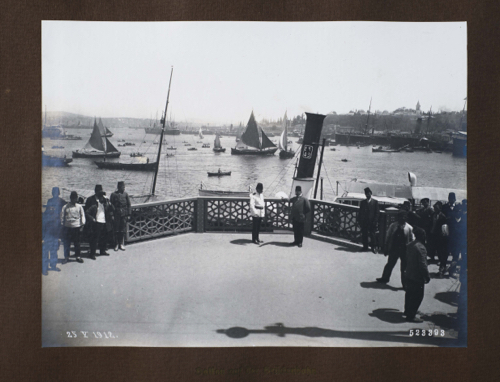 This show was curated by Zeynep Çelik, Edhem Eldem and Bahattin Öztuncay, an expert on 19-century Ottoman photography. He has previously curated shows on the English photographer James Robertson, who spent over 40 years in Constantinople, and has written books about Robertson and the Ottoman Greek photographer Vassilaki Kargopoulo. The exhibition starts right at the beginning – the birth of photography in 1839 – and shows how quickly and readily the empire embraced this new technology. ‘In fact, the impact and meaning of photography were compounded by the thrust of modernisation and Westernisation of the Tanzimat movement,’ we are told by the accompanying catalogue (available from the Cornucopia store). 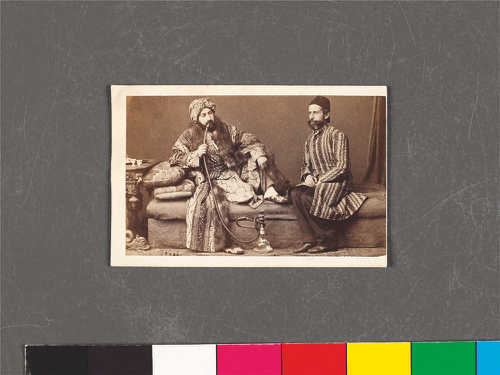 The first professional photography studio in Istanbul was opened by two Italian brothers, Carlo and Giovanni Naya. Other foreigners who settled in Pera and specialised in portraiture, including Robertson, soon followed. 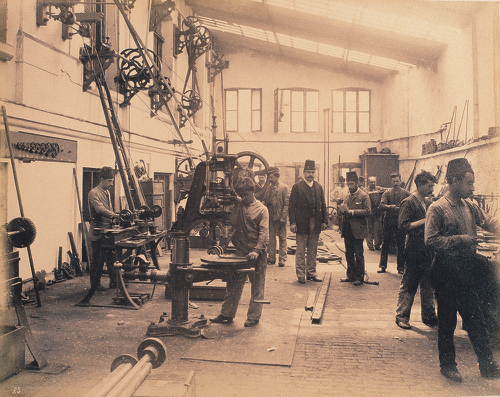 Kargopoulo was the first Ottoman to open a studio in the city, setting up shop in Beyoğlu, near the Russian embassy, in 1850. One of the most prolific portrait-studios was Abdullah Frères, opened by three brothers of Armenian origin, Viçen (above), Hovsep and Kevrok Abdullah, in 1857. The studio rose to international fame after the brothers exhibited at the Exposition Universelle in Paris in 1867. In 1862 they photographed Prince Edward on his visit to Constantinople. Portraiture was one of the main concerns of early photography. First popular among the privileged elite, it spread to the lower classes as it became cheaper and more accessible. Most images of the time were of the sultan and his family, statesmen and grandees. The rich were favoured over the poor, townsmen over peasants, men over women and adults over children. 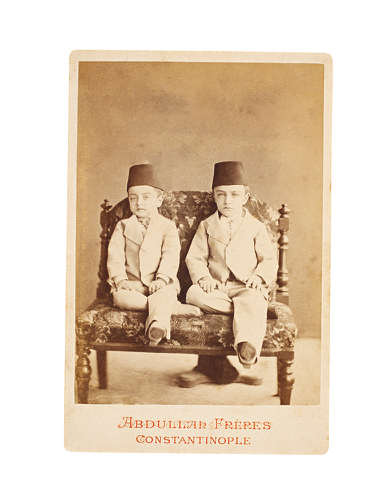 However, the exhibition does display a nice selection of photographs of children, such as the above taken by Abdullah Frères, circa 1865 (Ömer M Koç Collection). From the 1860s, studios widened their interests to include landscapes, monuments, scenes of daily life and local ‘types’. The above shows the Cibali Tobacco Factory, today home to the Kadir Has University, taken in 1885 by the Swedish photographer Guillaume Berggren, who lived in Istanbul for most of his life (albumen print, 19 x 24 cm, Ömer M Koç Collection). In 1873 the Ottoman government published Costumes populaires de la Turquie, a photographic survey of costumes throughout the Empire. The ‘ethnographic’ photographs were taken at the studio of the influential photographer Pascal Sébah. 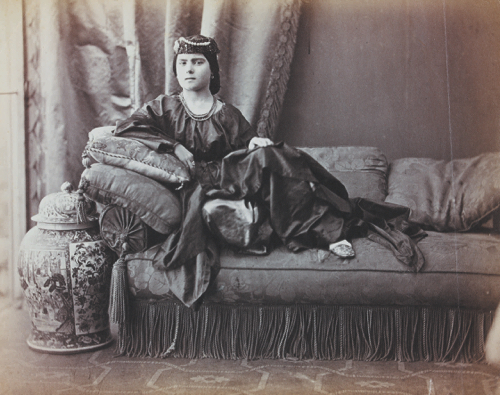 Models, such as the Turkish lady shown above (taken circa 1870), were often photographed with sombre expressions, appealing to the Orientalist tastes of visiting foreigners, but Sébah staged ‘exotic’ versions with models posing in much more ‘appealing’ ways. ‘His work often illustrated scientific Orientalist books, but his sheer output compromised the quality of his work after 1875,’ Roland Belgrave and Stefano Taglia tell us in Cornucopia 36. 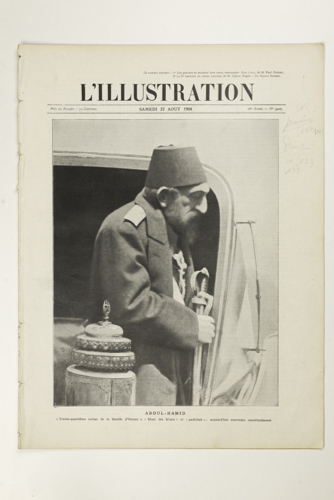 Although most of the material in the exhibition is on loan from the Ömer M Koç Collection, some comes from albums commissioned by Sultan Abdülhamid II (1876–1909). In fact, the display of modernity through photography is best narrated through these albums, the purpose of which was to showcase the empire to Western audiences. 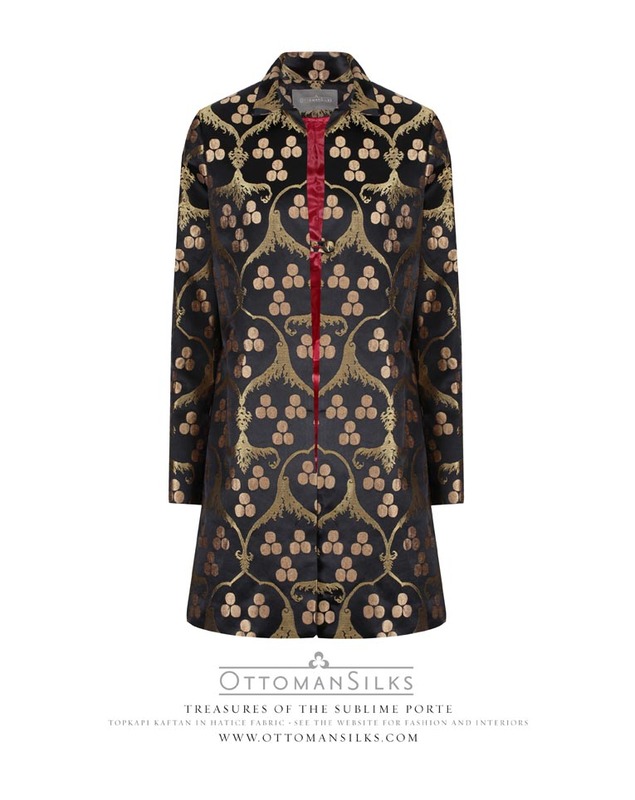 The sultan is known to have amassed an impressive number of prints – over 30,000 – most of them preserved at the Istanbul University Central Library. The content varies from shots of sights and infrastructure to views of different countries, schools and students, hospitals and patients. In 1893–94, a selection of images regarded as the best at representing the empire’s progress was published in 51 albums and sent to libraries in Washington and London. 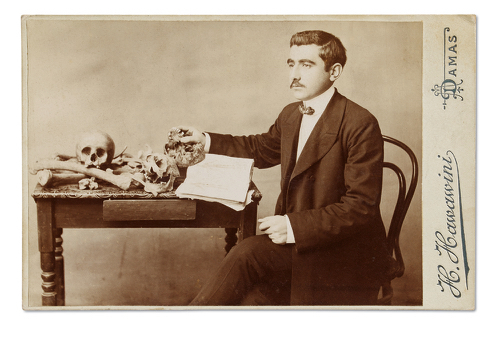 The above is a souvenir photograph showing Burhaneddin Toker, later to become a surgeon at Cerrahpaşa Hospital, Istanbul, in his days as a student at the Damascus School of Medicine, photographed by Habib Hawawini, in 1906 (albumen print, Ömer M Koç Collection). Portraiture of certain groups in society was also very popular. In 1877–78 the Ottoman parliament was photographed, with the hierarchy reflected in the large portraits of senators and smaller ones of deputies. The resulting album also revealed the empire’s ethnic and religious diversity. 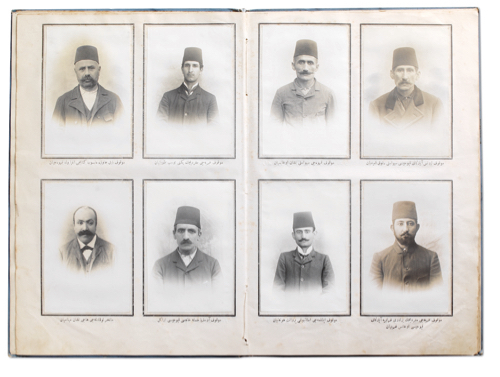 From the late 1880s on, serious efforts were made to collect photographs of prisoners, many now preserved in the Abdülhamid albums. Each photograph was captioned with a description of the prisoner’s crime and sentence. Although far less systematic than the anthropometric methods used by Alphonse Bertillon, these images reveal a desire to use photography as a means to increase the efficiency of the police and the prison system. The portraits above are of imprisoned members of the resistance movement who participated in the failed assassination attempt against Abdülhamid on July 21, 1905 (Ömer M Koç Collection). From 1900 on the Imperial Ottoman Bank collected full-length portraits of its employees for their files, some of which are also displayed. Doctors and medical staff were also often photographed. The Ottomans also used photography to document industrial and construction activities, including factories, mines and infrastructure projects (notably bridges, railroads and ports), as well as government buildings, military barracks, police stations, hospitals and schools. 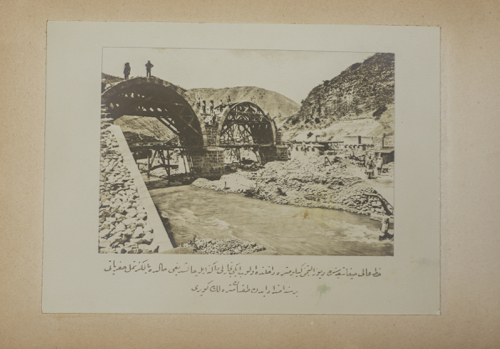 The above image shows part of the Hijaz Railroad, one of the most prominent Ottoman infrastructure projects, built between 1900 and 1908, which stretched from Damascus to Medina, with branches to Mediterranean ports. The fascinating album on display shows the construction process between two sections: Damascus and Maan, and Dara and Haifa. The photographs – of tunnels, bridges and train stations, as well as engineers, civil servants and workers – celebrated engineering technology. 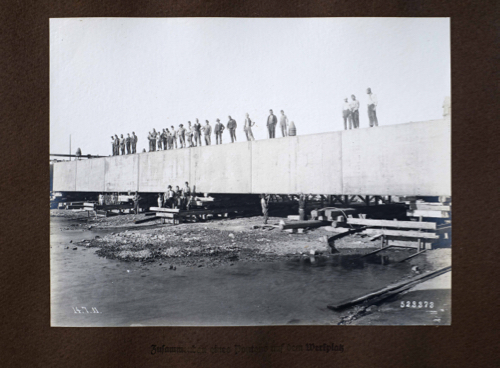 Another section focuses on the construction of the new Galata Bridge, built by the German company Hüttenwerk Oberhausen AG and completed in 1912. The album records the construction process, the opening ceremonies and the early days of theis impressive structure, which replaced an earlier bridge built in 1875. The exhibition continues until August 19. Main image shows the sons of Sultan Mehmed V, Ömer Hilmi Efendi (1886–1935) and Mehmed Ziyaeddin Efendi (1873–1938) dressed in Balkan attire in memory of the sultan’s visit to Rumelia. 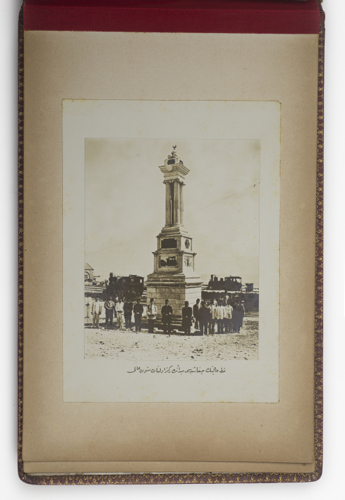 Photographed by the Manaki Brothers, Bitola, June 1911, Ömer M Koç Collection.